Your favorite characters from Daredevil are now cute little collectible vinyl figures! This Wilson Fisk Dorbz vinyl figure stands about 3-inches tall and comes packaged in a double-sided window display box. Perfect for any Daredevil fan! 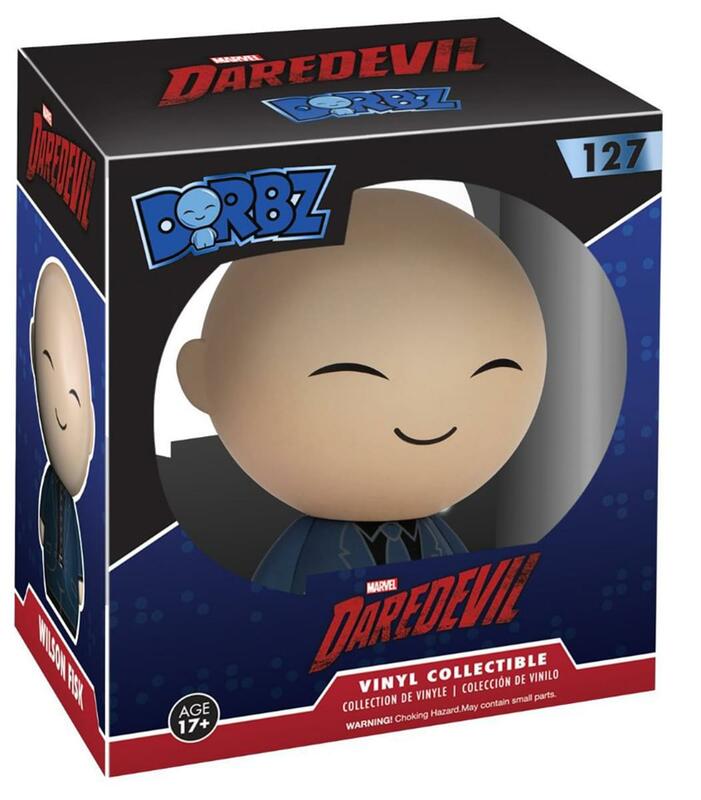 Collect and display all Daredevil Dorbz figures from Funko!.